Over the years, I have been branded as a workaholic, even though I believe I am not. I just live my life differently. However, for the last few days, I have been thinking — what is it that makes workaholics different from non-workaholics. That is when I decided to go ahead and figure it out. I started observing people who were tagged workaholic — from politicians to creative artists. Finally, I came down to five things that I identified about workaholics. Following are the five things you need to know about workaholics, before you brand them one! 1) For them sleep is a waste of time — Honestly, I have seen a lot of them, who doesn't believe in the '7-8 hours of sleep' funda. That doesn't mean they do not believe in sleeping. They do sleep but they have their own sweet time for that. They sleep when they are like 'okay coffee is not working and I need to sleep before I faint'. They can sleep anywhere! Sleep is like one of the things that you need to do to survive. It is no pleasure for them. 2) Work is a way for them to keep their mind from unwanted stuff — They just do not like being burdened with unwanted worldly thinking. They like the space they have created for themselves — their life, their food, their friends, their work and their LIFE. For most of them, work is a way of staying away from thoughts that depress people. 3) Family and relationships are just not their cuppa tea — They find family values, principles, decorum too constraining for their dreams and desires. They do not have time for "okay we need to talk about what is happening between us" or "I need to tell you something." They like living tension-free, and which means particularly, free from the obligations of a family and relationships. Work, for them, keeps them away from all such stuff. They can screw up their family and social life for work.Yes, they can. 4) Workaholics love challenges — Their whole life is about challenges. Challenges are like oxygen for them. They literally get excited about challenges, like orgasmic (okay, pun intended). They are very energetic, competitive and result-oriented people. 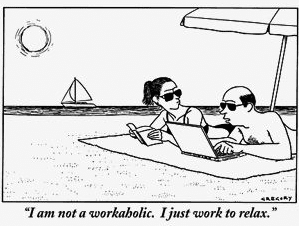 You will never find a workaholic who is happy about 'oh! thank god I have no challenges in my life!'. 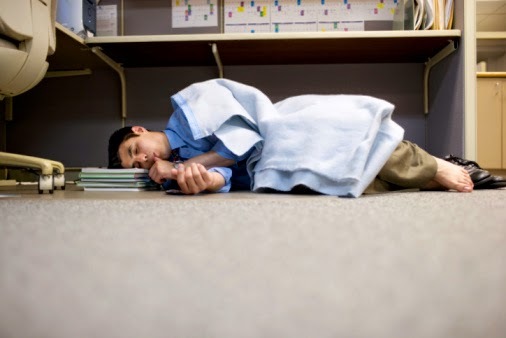 5) Workaholics do KNOW how to have fun at office — They are not hard workers but SMART workers. They will finish their work in time and you will find them having fun with some other colleague and suddenly detaching themselves from the situation to get back to work. They can have by themselves too. They know how to detach from a situation and get back to work on time. They do everything smartly. They mix pleasure with work. After all, office is like home for them! On a serious note, workaholics are those who love their work and go an extra mile to do some work. They infuse fun in their work. And, yes, it is very hard to stop them from being workaholics. It is better you give up and accept that you cannot change them.